Free Hot Tub Contest From Hair Mechanix Enter Today! This Promotion Has Ended, Winner Will Be Announced Soon! As you may have heard on 101 WRIF or 94.7 WCSX, Hair Mechanix and Sunny’s Pool & More/Viscount are giving away a FREE hot tub! That is right, one lucky winner will receive a free Viking P hot tub! To enter visit one of our great locations in Waterford, Westland, Livonia, South Gate or Auburn Hills. Once there, fill out an entry form, just that simple. Of course, while you are there you can also enjoy a great haircut from one of our stylists. The contest runs from March 29th to May 15th, 2017. After May 15th a winner will be drawn at random. All entrants must be at least 18 years old and a Michigan resident. For complete rules and details please click here. A Viking P hot tub is an amazing spa to own. It is a circular tub that can hold up to five people. Built for easy installation, your hot tub can be up and running in no time. 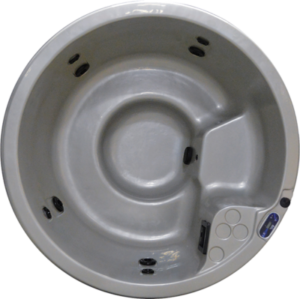 The hot tub also has a unibody design which is much more sturdy than other tubs and the soothing jets will help you relax after a long day. At Hair Mechanix, we are proud to offer great promotions for our customers. Make sure to visit your local Hair Mechanix for new events and promotions on regular basis. We offer a great atmosphere for you to enjoy and neck shaves and professional hair cuts will keep you coming back for years. Also, make sure to visit our website for new locations opening soon to help better serve everyone around the Detroit Metro Area. Looking for some real fun? Check us out on Instagram! Our fun stylists are always posting the latest cuts and fun stuff for all our customers to enjoy from all our locations. We are also on Pinterest!